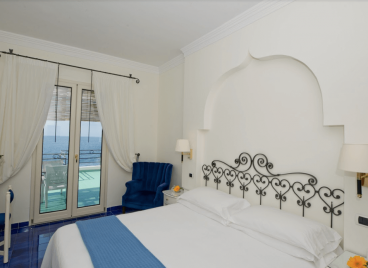 Among the 4 star hotels in Amalfi the Hotel Aurora is situated right in front of the beach and very close to Piazza Duomo, facing the sea on a bay whose charm and beauty are unparalleled. 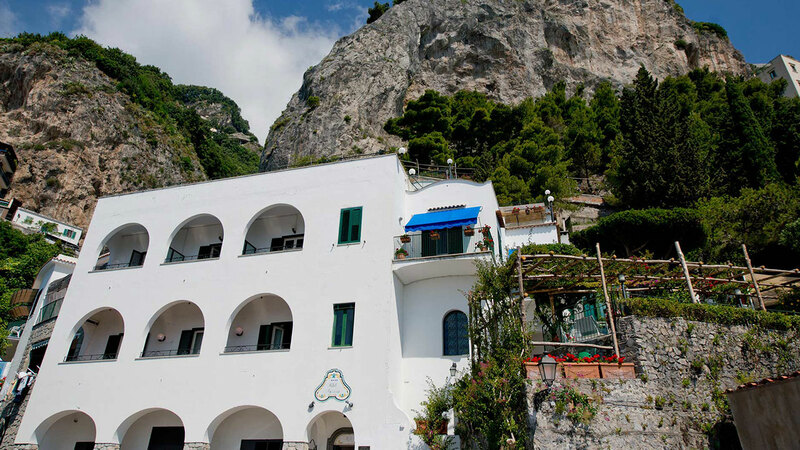 The wide terrace where breakfast is served with a beautiful view of the sea, that seems to enter in the rooms, and the pleasure of a walk on the yacht quay make your holiday in Aurora Amalfi hotel a charming and fascinating experience. 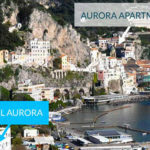 The Aurora apartments are managed by the same property and located within the walls of the vibrant historic centre of Amalfi, only a few steps away from the Duomo, are perfect for families, young travelers and for those who want more independence, they are conveniently located next to the shopping streets and main services. 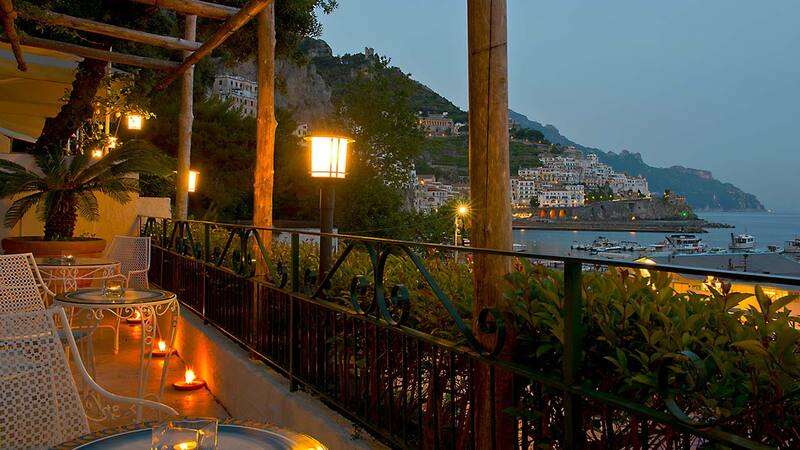 At any time of day at the end of a pleasant stroll along the harbour or among the charming streets of Amalfi, you can enjoy a moment of rest on the large terrace of the Hotel Aurora, sipping an aperitif or a glass of local wine, enjoying the sea view that will make your holiday in our hotel in Amalfi an enchanting and suggestive travel memory. 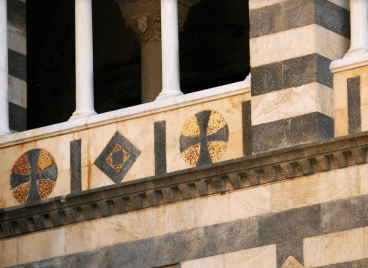 Salerno train station is only 25 km from Amalfi; Eurostar trains reach Salerno from North Italy and South Italy as well. 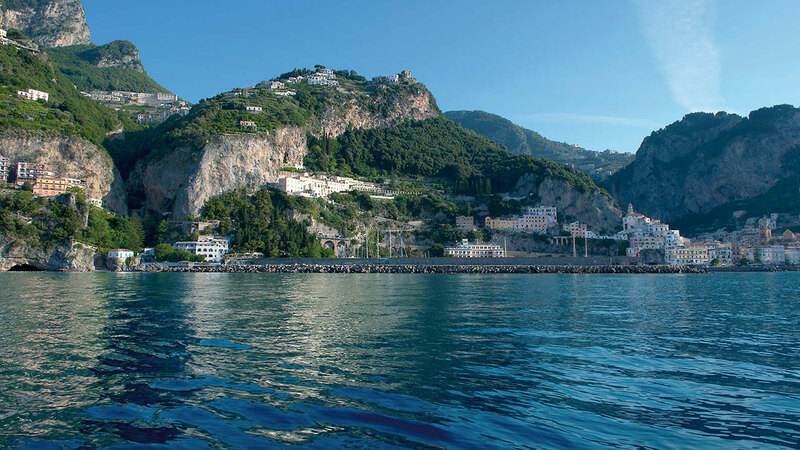 From June to September you can reach Amalfi from Salerno by sea. Check departure and arrival times on www.alicost.it The port is only 400 metres from the train station. 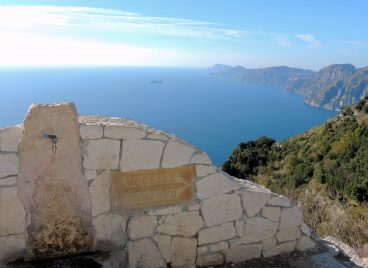 Take A3-Napoli-Salerno Highway up to Vietri sul Mare, then take SS 163 Amalfitana. 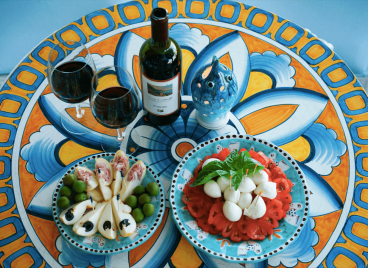 During peak season, we suggest you take Castellammare di Stabia, then SS 366 for Agerola up to Amalfi.